We asked Michael, the Pool Manager at Stellar Swim, to answer some questions you might have about signing your child up to swimming lessons. Why should I put my child in swimming lessons? Learning to swim is a life skill – once your child learns how to swim, they will never forget. Safety around water is paramount, with the number of pools, beaches, and waterways in Australia the importance of learning to swim through effective swimming lessons cannot be understated. So when should I start my child’s swimming lessons? It’s generally recommended that infants should start water familiarisation sessions from 3 months of age. This gives your little one time to develop a medical history, allow their immune system to develop, and lets your little one bond with you and build trust before going in the water. My child is a little older, is it too late for them to learn to swim? No, it’s never too late to learn to swim. Our lessons at Stellar Swim are based on a child’s ability, not their age, so no matter when your child learns to swim, we have a class that will cater to their needs. With so many choices, what makes Stellar Swim stand out? Stellar Swim stands out with our facilities, our programs, and our team. Our facilities are purposed designed and built for our programs, with our pool being specifically designed to cater for our learn to swim lessons. We offer small class sizes, as well as make-up lessons. You can even add to your regular lessons with our school holiday intensive programs. When can I enrol my child in swim lessons? Unlike other swim schools, at Stellar Swim we don’t run on terms – this gives you a lot more flexibility by not being locked in for 10 or 12 weeks. At Stellar Swim, we run with ongoing classes so that you can book in at any time, without waiting for a term to start. Are there any shortcuts to learning to swim faster? Regular attendance each week is the best thing for helping your child to learn faster, even over winter. Our pool is heated to 32 degrees all year round, and continuing lessons over the colder months will give your child a boost when summer comes around. Enrol Now to take advantage of our free trial offer! 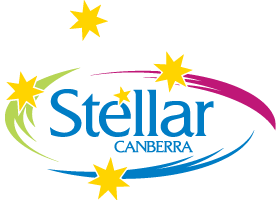 For more information about any of the swim programs we run at Stellar Swim, visit the Stellar Swim website, fill out an enquiry form and one of our team will be in touch.